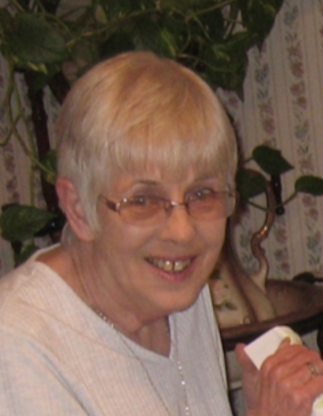 Obituary for Marion “Snook” Kutzko | John Syka Funeral Home, Inc.
Marion "Snook" Kutzko, 77, of Economy, died Saturday, April 13, 2019 in her home. She was born December 6, 1941 in Sewickley, to the late John and Marion (Beck) Sergeant. She was a retired office manager for Magisterial District Court 36-71-01. Her passions in life next to spending time with her grandchildren were camping and enjoying nature. She spent many hours on her front porch watching the birds and animals. Marion really looked forward to eating out and going shopping. She is survived by her son, John W. (Deanna) Kutzko of Freedom, two grandchildren, Kaitlyn and John M. Kutzko and a brother, John Sergeant of Center Twp. Family will receive friends on Monday from 2-4 and 6-8 PM in the John Syka Funeral Home, Inc. 833 Kennedy Drive, Ambridge where a blessing service will be held on Tuesday at 11 AM. Interment will follow in Sylvania Hills Memorial Park.